What inspires me to blog is a desire to express myself and share with others what I’ve learnt and am learning. It’s also a desire to assist and support others. The sharing of information, experiences and ideas connects us. 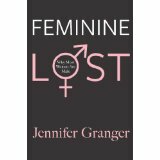 Feminine Lost, Why Most Women are Male by Jennifer Granger, an intuitive transformational coach and author. All of the books are about getting to know – with different approaches – what makes us well, whole and fulfilled human beings. I met Karen Coates at Gwingana Lifestyle Retreat earlier this year at a Women’s Discovery programme, which I did with my cousin, who has also had breast cancer. I was inspired by Karen and concerned by what she had to say about how the amount of stress we experience daily and weekly over an extended period, without relief or release, can build the levels of cortisol and adrenalin to a point where we can become sick. What we eat each day and the products we use on our bodies, our clothes and in our homes can also affect our health. Embracing the Warrior gives a simple and exact instruction on managing the health challenges of the modern world… without resorting to pharmaceutical drugs. Part of the book concentrates on some of the major health issues confronting people today: dealing with stress, managing and preventing osteoporosis, understanding depression and lowering cholesterol. The chapter, Pharmaceutical Dominoes – The Compounding Effect of Drugs, is particularly enlightening. Karen also talks about ‘gut’ health and how important this is to remaining well. The lifestyle changes you can make to defend your body. I believe my friend now understands the approach I have taken to my health. She has introduced some dietary changes into her own life after a period of feeling unwell. These have significantly improved her vitality and feeling of wellbeing. Feminine Lost explores the premise that all human beings are constructed of two energies, one masculine and one feminine. With the rise of the feminist movement, she says many women have migrated to their masculine side, some to the extent of losing access to their feminine side altogether. Could this be contributing to the increase in breast cancer, I ask? It’s now 2 years since I concluded chemotherapy treatment. I feel as though the ‘chemo brain’ has finally left and I am fully restored to my former passionate fit self, however with a great deal more wisdom, love and care for myself and others. I’m ready to return to work and my life as an entrepreneur. I’ve teamed with Naturopathic Nutritionist and Chef, Emma Ellice-Flint, to start a new business, The Vital You, as a result of my health travels. It’s designed to relax and revitalize with a weekend of workshops where participants learn how to source, cook and enjoy easy, fresh, delicious, healthy, nourishing food. They’ll also experience some de-stressing techniques with mindfulness, meditation and yoga. We’ll be providing a practical ‘recipe for good health’. The experiential workshops are designed to provide you with vitality every day and a lifelong, healthy mind and body. If you’d like to find out more about our programme and the November weekend visit www.thevitalyou.com.au. This entry was posted in Recovery and tagged Beat Cancer, Breast cancer, Cancer, Dr Karen Coates, Eatcetera Nutrition, Embracing the Warrior, Emma Ellice-Flint, Feminine Lost, Gwingana Lifestyle Retreat, Jennifer Granger, Prof Jane Plant, The Vital You by Intuitive Living. Bookmark the permalink.